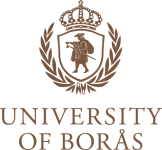 The University of Borås (UB) is a modern university located in the centre of the city. Several of our educations can only be found here with us and this attracts students from all over Sweden. We are entitled to award doctoral degrees within three of these areas; Library and Information Science, Resource Recovery and Textiles and Fashion (design and general). Mistra Future Fashion fortsätter att växa, och kan nu tillkännage att Internationella Miljöinstitutet IIIEE, vid Lunds Universitet, blir ny partner inom forskningen av styrmedel och riktlinjer för en hållbar modeindustri. With predictive modeling techniques, it is possible to predict anything from clients’ shopping habits and illnesses to a golfer’s handicap. The only prerequisite is to have enough examples. In a doctoral thesis from the University of Borås in Sweden, Rikard König has adapted the technique of genetic programming so it can be used for such purposes. In a study published in the revered journal Heart Johan Herlitz – professor of prehospital emergency care at the University of Borås, Sweden – reveals that women survive out-of-hospital cardiac arrest more often than men. The Asian Institute of Technology (AIT) in Bangkok is an English-language university which carries out high level education and research. The university also promotes peaceful development in the Asia-Pacific region. Sweden has played a role in the success of AIT, which last week received intergovernmental organisation status. In the future it may be considerably easier for orchestras to tour. Jeannine Han, who is in the second year of her master’s program in textiles and fashion design at the Swedish School of Textiles in Borås, Sweden, working together with technician Dan Riley, has developed clothing that plays music when touched. Orange peels lie behind the first patent application from the University of Borås in Sweden. It was recently submitted via Inicia AB to the Swedish Patent and Registration Office. Now Professor Mohammad Taherzadeh is hoping for a green light for a patent to cover part of his research. In September 12, 2009, an exhibition will be opened at the Shetland Museum and Archives in Lerwick, where both the original findings and the reproductions are displayed. YVON CHOUINARD, founder and owner of PATAGONIA, Inc. keynote speaker at THE DESIGN OF PROSPERITY 09 CONFERENCE of The Swedish School of Textiles, University of Borås. First there was the glove that you could communicate through, then there were the tanktops and belts measuring heart rates and breathing frequency. The School of Textiles researcher Lena Berglin is getting attention for her smart textiles that combine design and technology. On Tuesday, November 25th, she is set to publicly defend her dissertation, the first on interactive textile structures, at Chalmers. A dissertation that will be a springboard for the new resource smart textiles that don’t even have to touch the body to give measurable results.